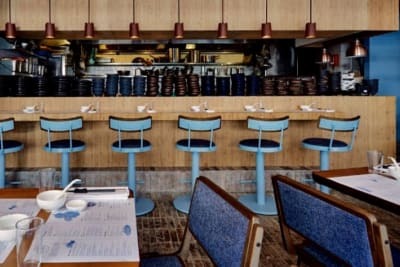 Michelin-starred chef Alvin Leung (of Bo Innovation fame)’s MIC Kitchen has recently relocated after a five-year stint in Kwun Tong, with new digs in Central in the space that formerly housed Liberty Private Works and Twenty Six by Liberty. 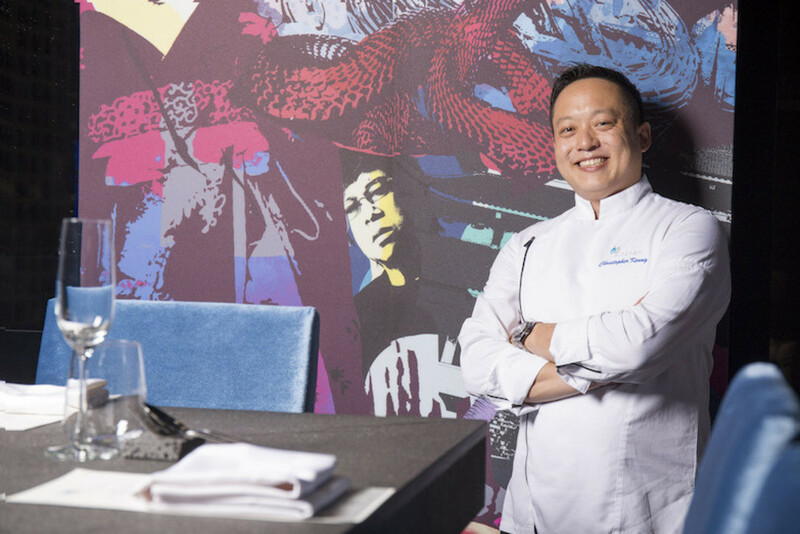 It retains its glittering Michelin star, with Chef Chris Keung at the helm crafting innovative and elegant East-meets-West dishes. 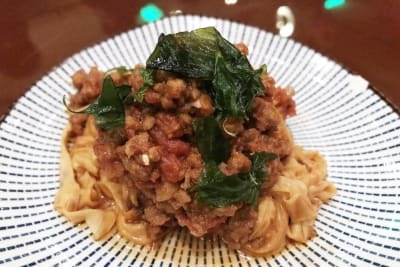 Unlike the restaurant’s original à-la-carte menu, there’s now a solo seven-course dinner tasting menu, priced at a relatively affordable $800 per person (to put things into perspective, at three-starred Bo, the signature tasting menu will set you back more than double that). 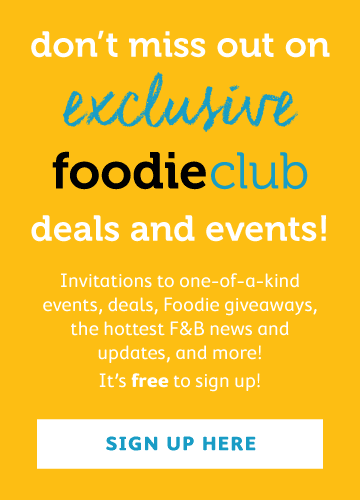 There’s the option of adding another course – black truffle with artichoke and duck egg (+$288) – and wine pairings ($550/person) are also yours for the tasting. At MIC Kitchen, you’ll be seated around a small U-shaped counter (just 26 seats) facing the sparkling open kitchen, making for an intimate experience. The splashy skyline views add to the exclusivity. One small detail stood out for us – each diner is given a coaster to use as phone cushion! We were impressed with everything Chef Keung dished up; the flavour combinations were unique and inventive, the techniques polished and the attention to the textural components of each dish especially noteworthy. 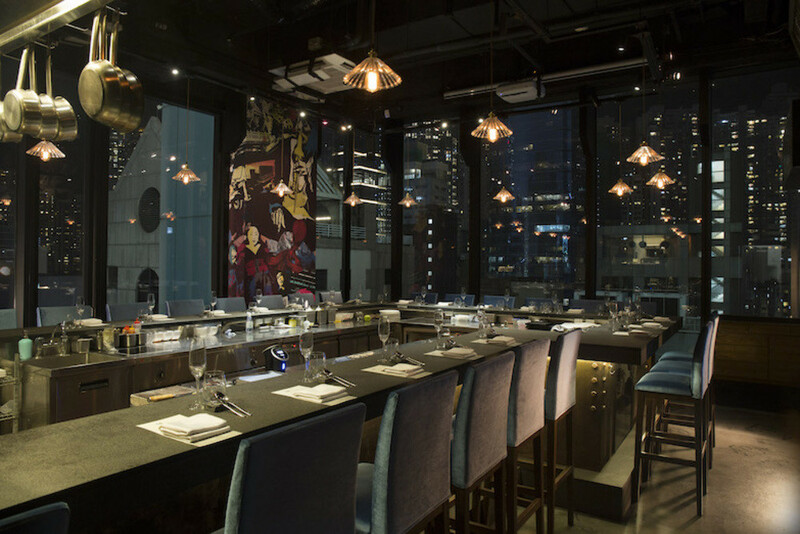 MIC Kitchen makes for a top choice for a special night out, especially at this bargain price tag considering the quality and surrounds. 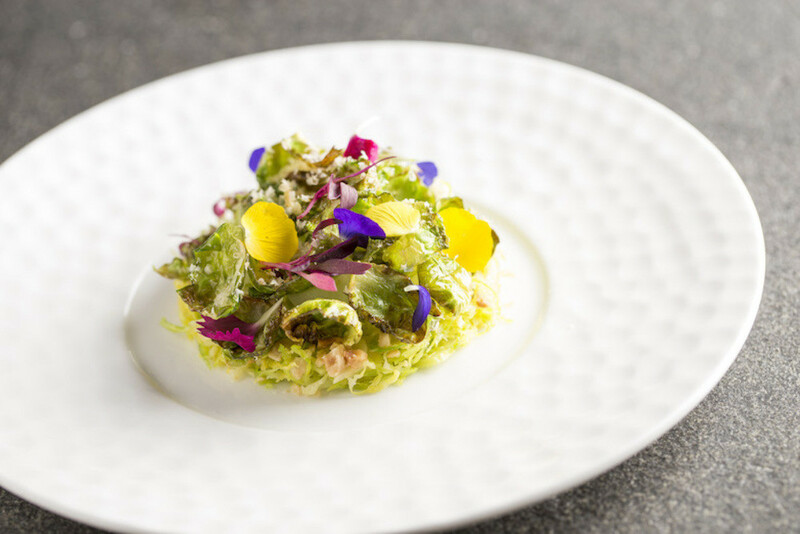 Brussels sprouts, hazelnut, green apple – the much-maligned Brussels sprout was given a new lease of life by Chef Cheung (we could imagine wolfing down a whole bowl of the stuff for lunch daily and not getting bored). The textural contrasts of the sprouts were superb, from raw and julienned to crisp and fried, and we loved the brightness and nuttiness of the dressing. 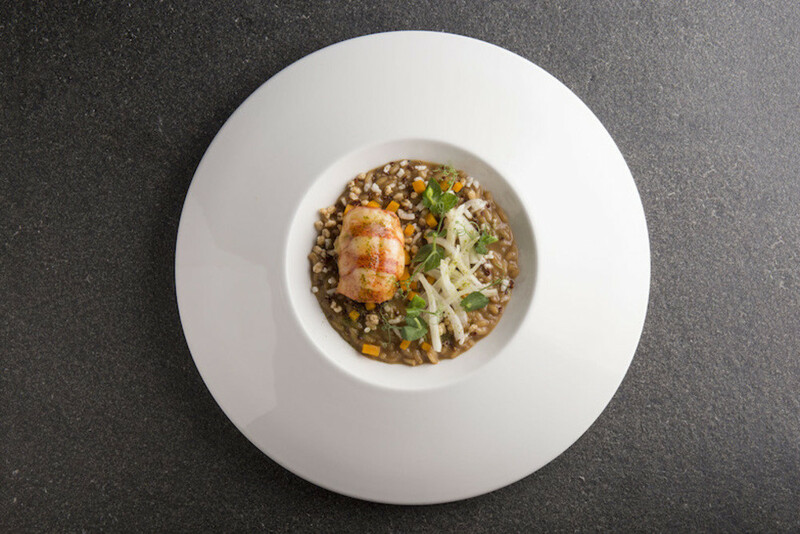 Lobster, grains, risotto, pumpkin – the butter-poached lobster crowning the dish was sublime, and we enjoyed the earthy tastes and textures of the grains that made up the risotto (buckwheat, barley, black quinoa). The tiny pipette filled with spring onion oil that accompanied the dish gave an an extra burst of umaminess. 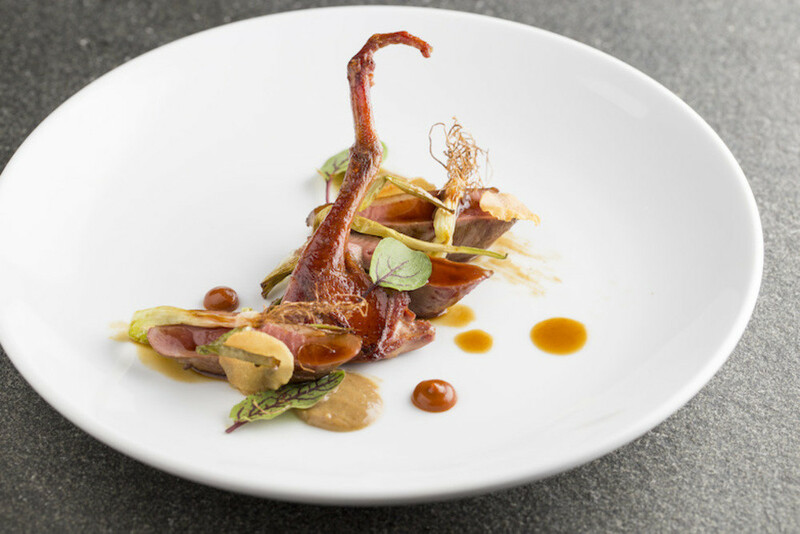 Pigeon, soubise, ginseng, garlic – we set our cutlery aside to gnaw on this delicious crispy-skinned bird, which didn’t have even a whiff of gaminess. The classic onion sauce of soubise added a layer of sweetness to the savouriness of the pigeon.